The #MeToo movement that emerged this past year from Hollywood and media-related industries has torn away the veil from the collective experience and struggle of women in every community, every workplace and every industry across our nation and beyond. #MeToo pushed us both to reflect—not only on our own experiences of sexual harassment and discrimination—but also on how we processed them. 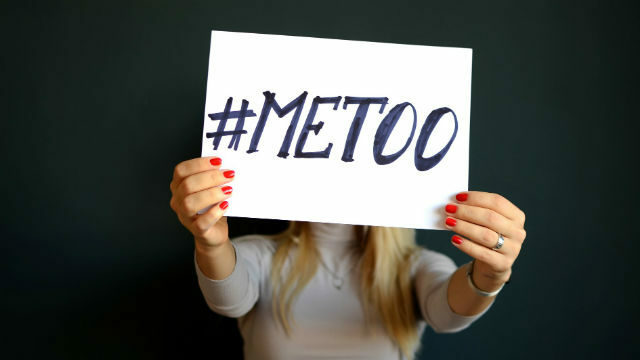 Be it through silent, personal reflection, or trusted confidence with close friends, or communication on a larger scale, #MeToo gave us the courage to push ourselves and each other to be speak out in our professional worlds, not just our private worlds. One of the most telling signs of an unjust imbalance in power is when a domain offers no recourse for a victim and no acknowledgment that a violation has occurred. And this—this lack of recourse and acknowledgement—is a set of conditions we have both experienced and witnessed within the context of local political work. Clearly, the political sphere provides women no haven from unwanted sexual advances or discrimination as evidenced by scandals and allegations against everyone from the current president to legislators and staff in the state assembly and senate. Locally, we are arguably still recovering from the impact of Bob Filner’s transgressions and his very public fall from grace. The recently settled lawsuits of four women alleging sexual harassment and discrimination against labor leader Mickey Kasparian have raised serious questions and concerns for many members of the local Democratic Party. What do we do and how do we respond when these types of charges are raised against one of our own—a member of the central committee, an elected official, an endorsed candidate, a political consultant, a legislative staffer, or a volunteer? And in the spirit of the #MeToo movement, when more and more women are willing to speak up, share and call out inappropriate, criminal and/or just plain bad behavior, it is clear that the San Diego County Democratic Party has an opportunity and some choices to make. To be sure, these are not issues that are exclusive to the Democratic Party, nor are they worse than in the Republican Party, or anywhere else for that matter. In fact, we truly believe that if these stories seem to be coming forward from women in the Democratic Party more than other political parties, it’s because they actually have the hope and belief that they will be supported by their peers and colleagues. That’s because we have more active female members than the other parties. The Democrats have long upheld a platform that centers on women’s rights, equality and equity predicated on the core belief in a woman’s intellectual and moral ability to make choices regarding her own body, health, finances and future. The first female candidate to be endorsed by a major party for the highest office in the land was ours, and it is our party that is now producing record numbers of women candidates across the country, running for a chance to serve and lead their communities. But the high numbers—the surge even—of women now active and interested in party politics means that the time is absolutely right for the San Diego County Democratic Party to take proactive steps to set clear guidelines and expectations about behavior in campaigns and other party-related activities and programs–for candidates, staff and volunteers alike. It means that things like sexual harassment prevention training and policies and procedures for how to handle complaints or grievances be transparently developed and implemented. It means that we are as ready as possible to handle these situations, not just in the context of crisis-control, but with the explicit intention of facilitating a just and fair process to handle these challenging and painful situations, that can also be a model for other organizations and society at large. Carol Kim is a San Diego Democratic Party central committee member and the political director of the San Diego County Building & Construction Trades Council. Alexis Olbrei is the chief of staff for the Southwest Regional Council of Carpenters.